Art Erhlens of ESB Advertising developed the concept for this ad campaign. As a veteran of marketing and video production, he made a perfect partner of Gearshift.tv to help produce this spot. Art knows a key piece of an effective ad is a catchy jingle to stick in the minds of consumers. 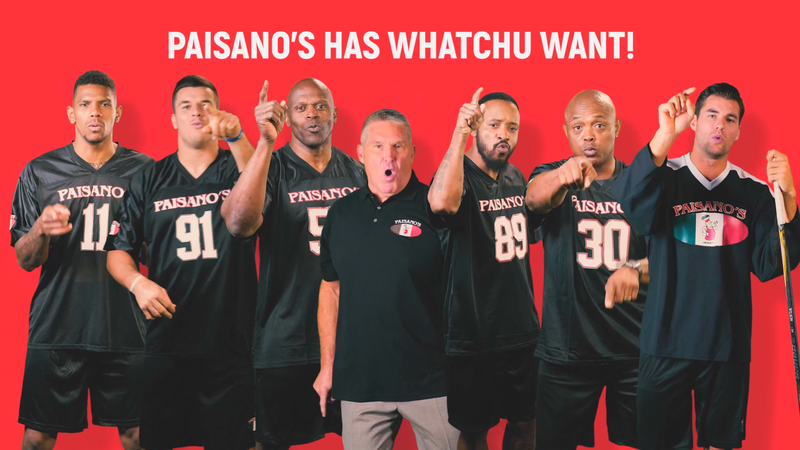 Bringing this idea to Paisano's brand; which focuses on a diverse menu to appeal to the varied cravings of hungry television viewers, sparked the idea for the "Whatchu Want" jingle, which Art then developed. This is only the first part of the formula however. Next, we needed talent to bring the jingle to life. When making a commercial like this hiring recognizable faces is paramount. 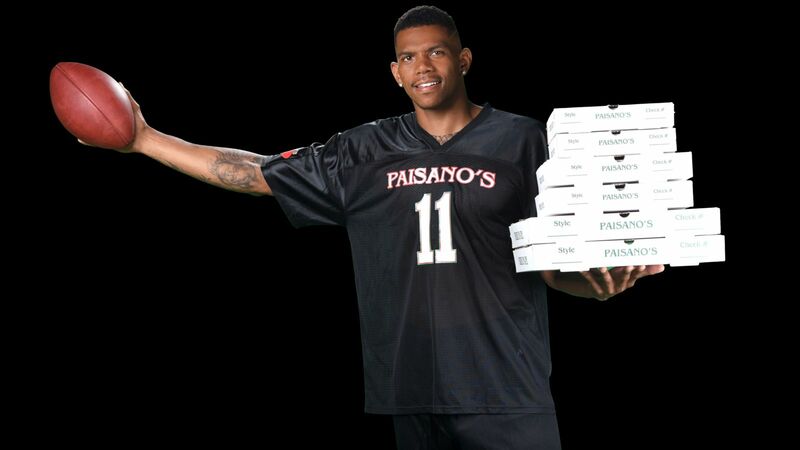 Ryan Kerrigan, Santana Moss, Terrelle Pryor, Tom Wilson, Ken Harvey, and Craig Laughlin all star in the latest Paisano's campaign. All of them bring a certain amount of star power and attract attention because of it, but they also brought fun personalities to the perfomances which show in the footage. Flatness can ruin any production no matter how much work goes into the other parts. 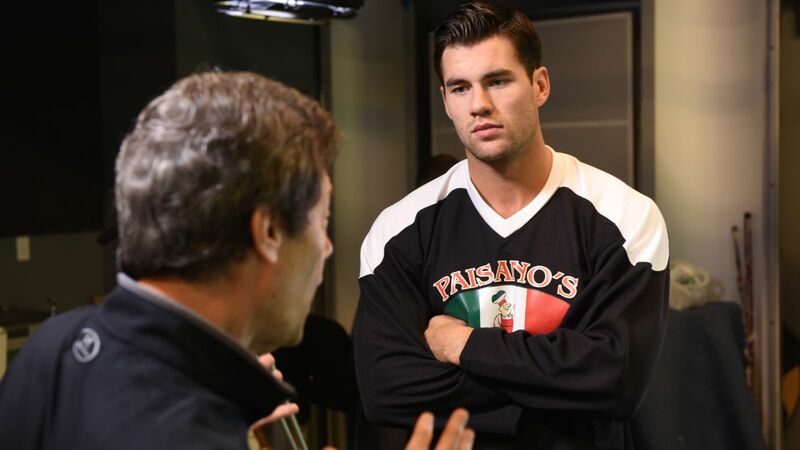 The commercial was shot in our Fairfax, Virginia green screen studio with each athlete taking their turn wearing the Paisano's jersey and dancing to the beat of the jingle. We got multiple takes of each athlete reading the lines and showing off their best moves. You might think these kinds of shoots are quick and the total footage only equals a few minutes, but we recorded each athlete for at least an hour to make sure we got all the best moments covered to put in the commercial. For a 30 second commercial, there was several hours of footage! 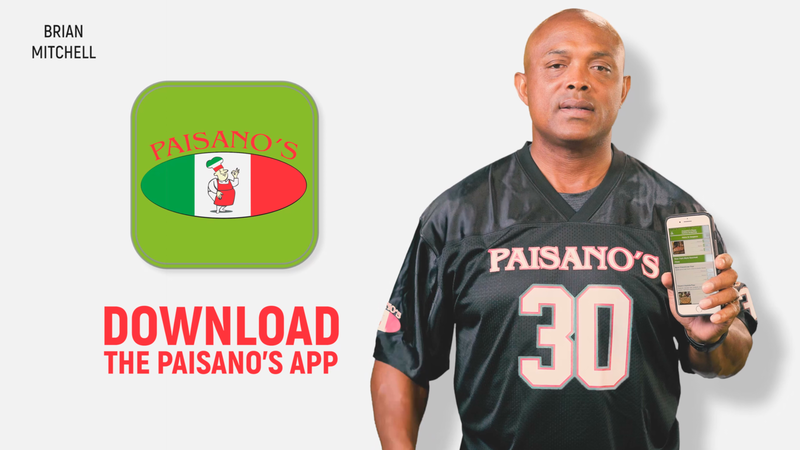 The ad instantly created buzz for Paisano's. After it debuted during Monday Night Football the ad was noticed and written about in the Washington Post's "Sports Bog" section. 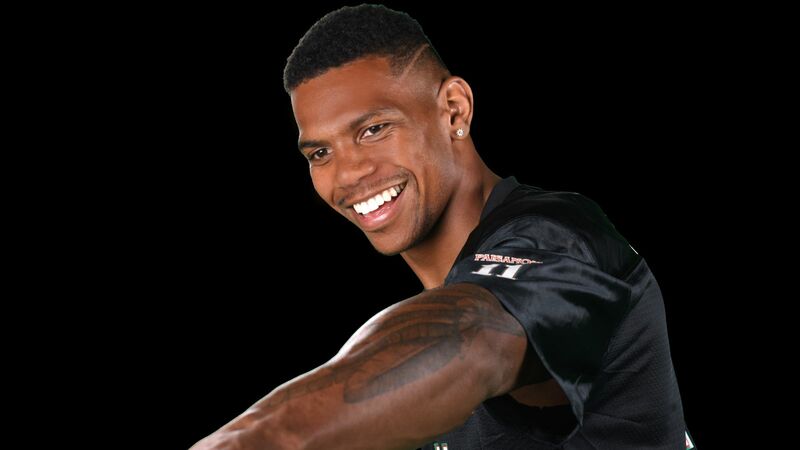 Dan Steinberg wrote, "...in these contentious times, I do believe D.C. sports fans remain united behind the concept of various local athletes getting together to sing jingles for local commercials." As long as the people keep enjoying our ad campaign strategy, we'll keep producing high quality commercials for our partners. If you have a concept you would like to discuss, call us today at 703.962.1270 to discuss your project.